No other spirit embraces gastrobartending like Gin Mare. 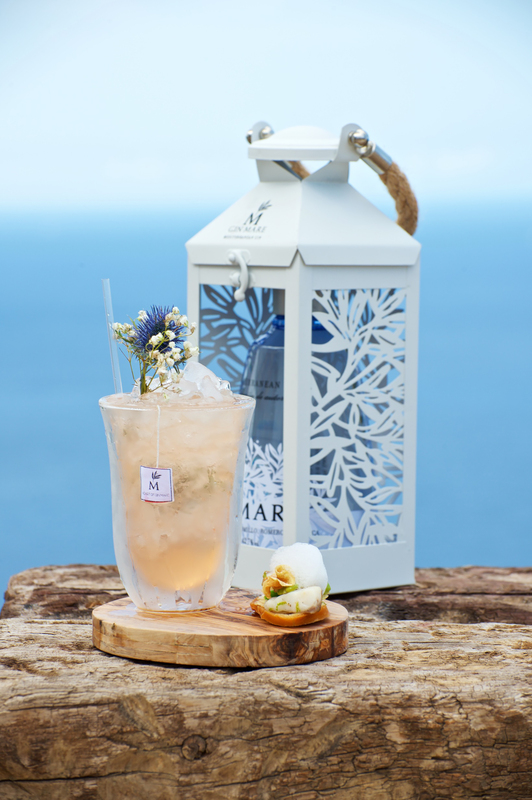 Gin Mare recently invited seven lucky finalists from Britain, France, Germany, Italy, Portugal and the United States to the exclusive Villa Mare in Ibiza, Spain, to compete in this year's Mediterranean Inspirations global finals. Participating in both individual and group challenges where their gastrobartending skills were on full display, the contestants were judged for their Gin Mare-based cocktails and Spanish tapas-inspired bites. 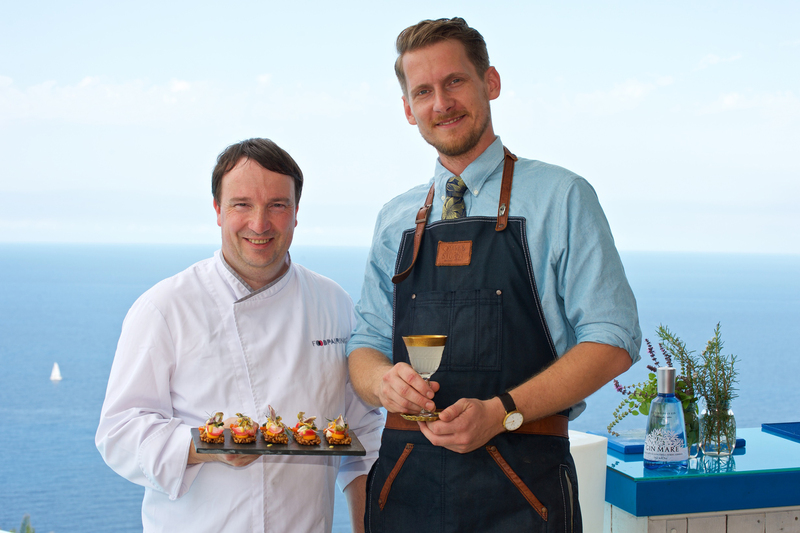 More than just a cocktail competition, the finalists were asked to flex their culinary might while celebrating the longstanding gastronomical traditions of Mare Nostrum. 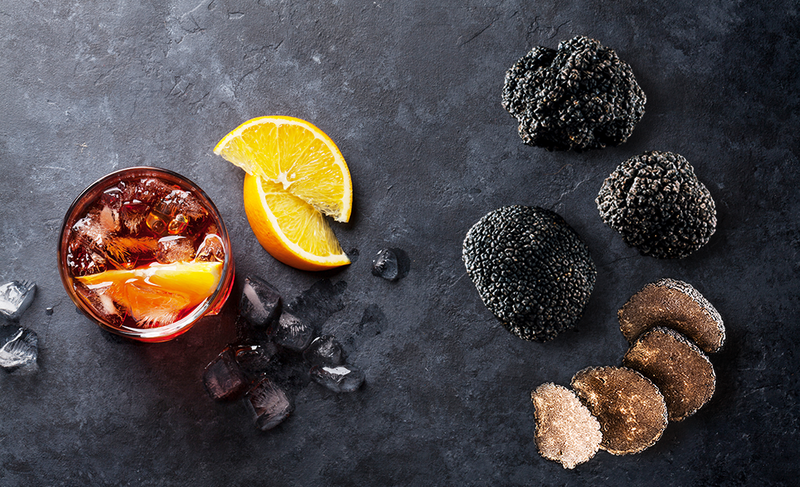 To prepare them for the challenge, esteemed colleagues from the spirits and culinary worlds led a series of workshops, offering key industry insights and professional tips for everything from infusing and fermenting to preserving and more. Spanish chef Aitor Olabegoya of Gastrojoy in Taiwan also demonstrated just how handy a sous vide can be for infusing and preserving, as we later saw during the contest's surf ‘n’ turf team challenge. In my session on vegetable-based cocktails made from food waste, I included separate twists on two classics: a gin fizz cocktail made with Gin Mare and a homemade limeade infused with leftover pea pods; plus, a cocktail made from red cabbage leaves that would otherwise have been discarded. By turning the leaves into a dried powder, I was able to combine the red cabbage with Gin Mare, orange juice and cinnamon. A refreshing dash of lime added tangy balance to the drink’s overall sweetness, along with the same citrusy-orange and spicy-camphor notes that we find in the gin. Red cabbage is an ingredient not commonly seen on cocktail menus, but the brassica contains a green-grassy aroma that pairs well with Gin Mare. "By turning the red cabbage's outer leaves into a dried powder, I was able to combine it with Gin Mare, orange juice and cinnamon." One of our favorite moments of the finals was this year's surf 'n' turf group challenge. The gastrobartenders were split into two teams and tasked with concocting a Gin Mare-based accompaniment for a ceviche or a tartare. 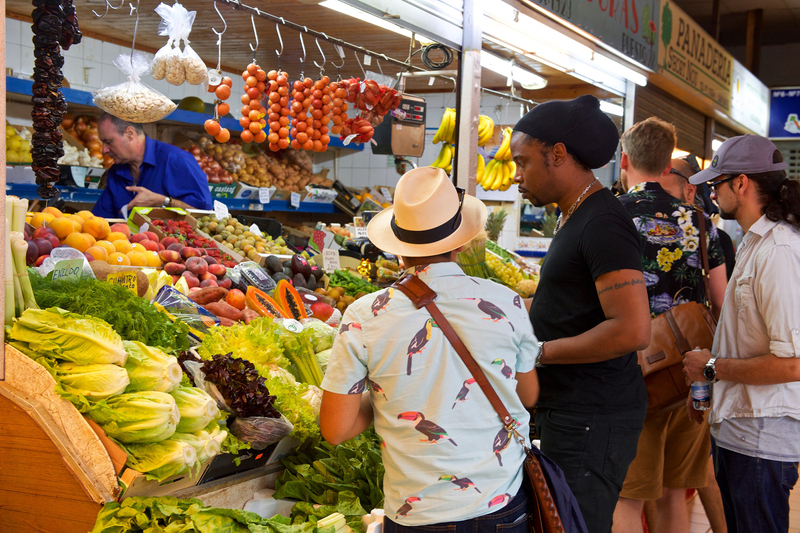 After sourcing their ingredients from Ibiza's Mercat Nou, the party reconvened on the neighboring island of Mallorca. 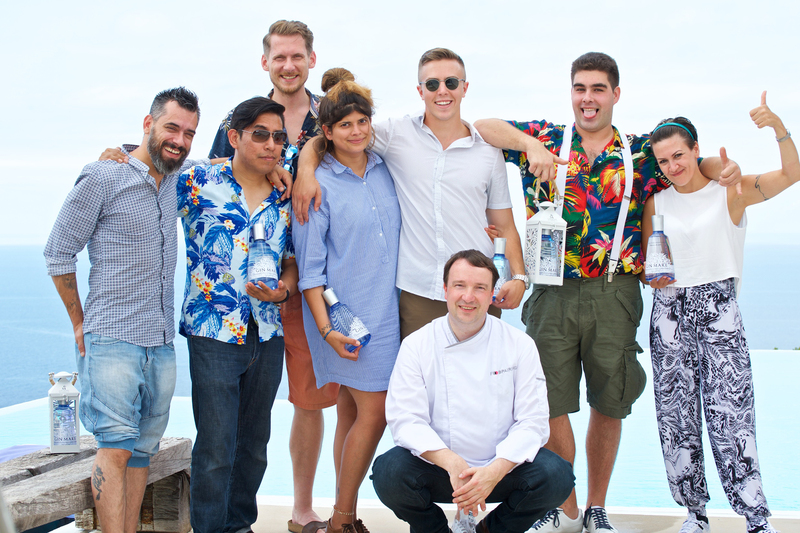 The teams were given a strict 30-minute time limit, during which they were asked to prepare 40 servings of their cocktails and tapas, using a sous vide and local Fromentera sea salt. Representing Team Surf were Edwin Cruz (USA), Clemens Dietrich (DE), Romain Golovko (FR) and Valentina Serio (IT), who upped the ante with a drink they called, "The Final Countdown" that involved a lemon cordial and a saffron-infused Campari marmalade—both of which were prepared with a sous vide. Working together with the assistance of Chef Jason Howard, the team paired their citrusy cocktail with a ceviche of hamachi seasoned with Arbequina olive oil and Fromentera sea salt. The teams were given a strict 30-minute time limit and asked to prepare 40 servings of their cocktails and tapas, using a sous vide and local Fromentera sea salt. Team Turf was Gavin Koehn (USA), Daniel Carvalho (PT) and Jo Last, whom I assisted with their "SaltAir" cocktail pairing and beef tartare. The team used an infusion of fermented black turnips, which they paired with Gin Mare, a fino sherry and homemade fig jam. A touch of local honey and Fromentera sea salt were also added to balance out the taste of their SaltAir, which the gastrobartenders topped off with a finishing whiff of dill-infused Gin Mare foam. 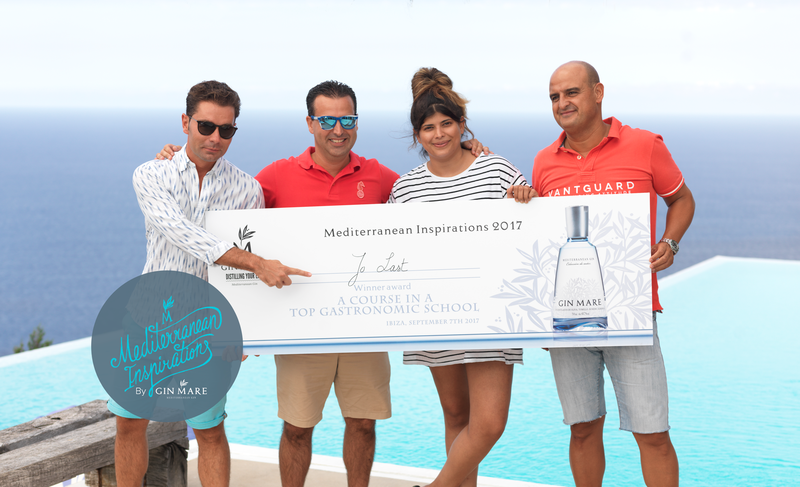 As with previous years, the finalists were asked to present a Gin Mare cocktail based on the theme of artichokes, together with an accompanying foodpairing for this year's solo challenge. 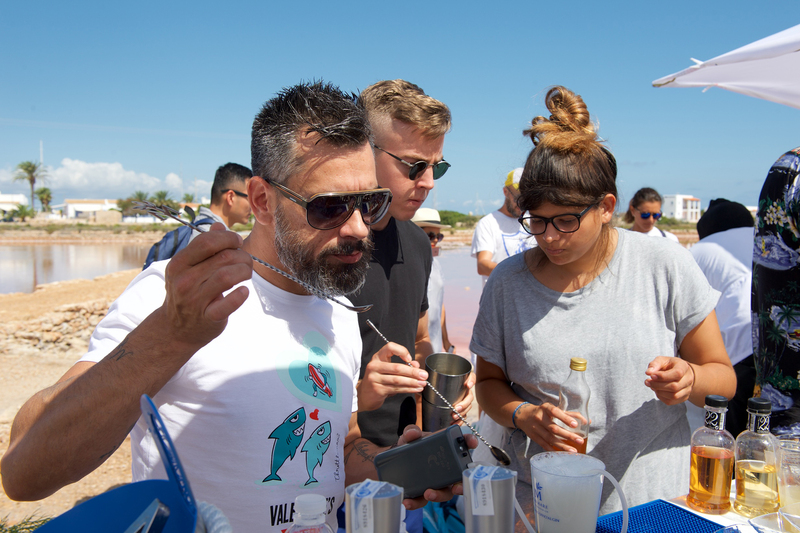 The judges included: Gin Mare Brand Developer Jorge Balbontín; whisky enthusiast and global brand ambassador for William Grant & Sons, Dean Callan; head bartender and master parfumier Oscar Quagliarini of L’Herbarium; and bar expert Andreas Tsanos of Coricancha. 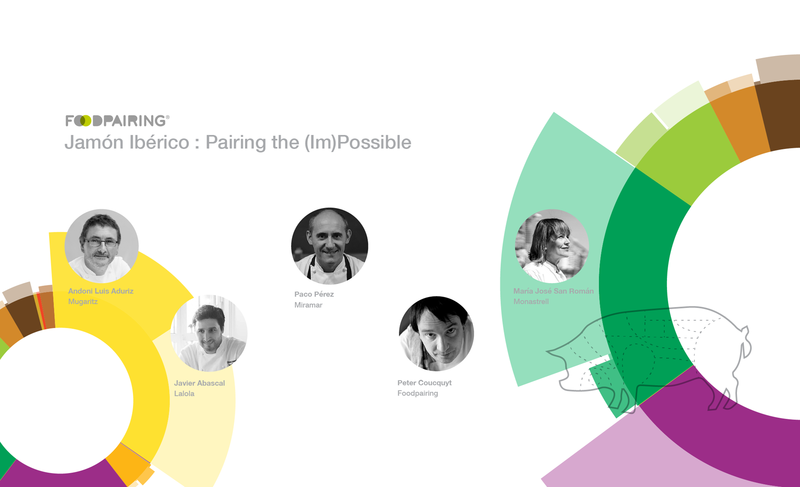 Many clever pairings piqued our palates during the individual’s heat this year. On the technical front, I was impressed by Romain Golovko’s (FR) “Mare Silver Fizz,” a bold new take on the classic Ramos Gin Fizz. The original 19th century New Orleans classic was once a test of endurance that “shaker men” took turns shaking for as long as 12 minutes (in some exaggerated cases) to achieve the desired meringue-like froth. Armed with no more than his own two hands for this round, Romain combined Gin Mare and Skinos Mastiha with an artichoke-infused syrup, cardamom syrup, lime juice, crème fraîche, egg whites and crushed ice in a shaker. The mixture was strained into a second shaker, and after 30 seconds of shaking, he followed up with a good dry shake for a minute more. Romain then poured his Mare Silver Fizz into a long drink glass that he topped off with soda water for extra fizz. 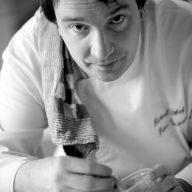 "I was impressed by Romain Golovko’s 'Mare Silver Fizz,' a bold new take on the classic Ramos Gin Fizz." 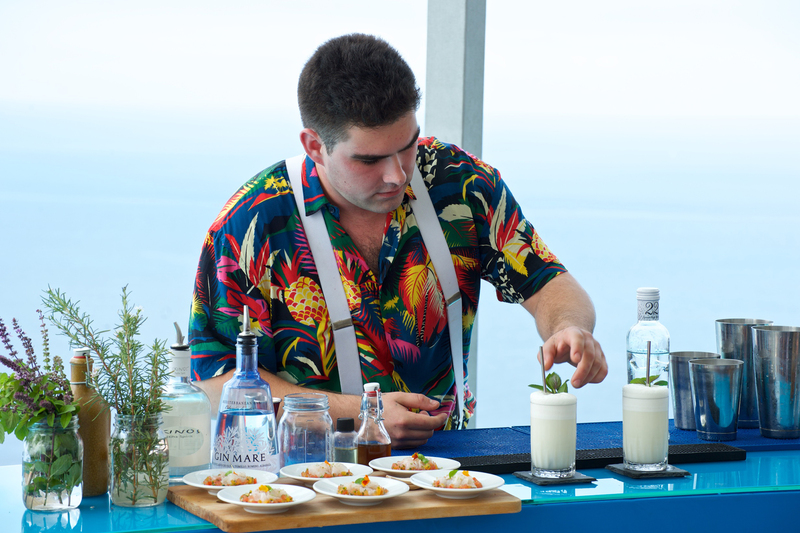 Taking his cues from the typical Spanish breakfast, Gavin Koehn (US) served the judges a green cucumber and artichoke gazpacho spiked with Gin Mare—his Mediterranean-inspired version of a Bloody Mary. Using pan de cristal, Gavin topped his crostini with thick slices of Spanish tortilla made with potatoes and manchego that he dressed with a creamy hollandaise, sundried tomatoes, shaved Iberico ham and chives to go with his breakfast-themed cocktail. 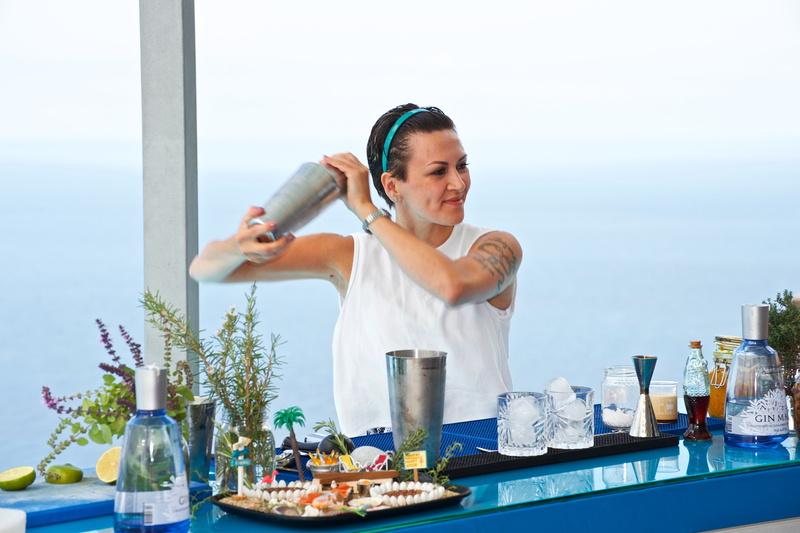 In a winner-takes-all victory, British bartender Jo Last of the Domino Club in Leeds, UK, received one year's enrollment in a culinary program of her choice. Jo won over the judges on our tasting panel with “The Heart,” a mixture of Gin Mare, rose and milk thistle tea, paired with a fruity pineapple cordial and tincture that she served in tea glasses. 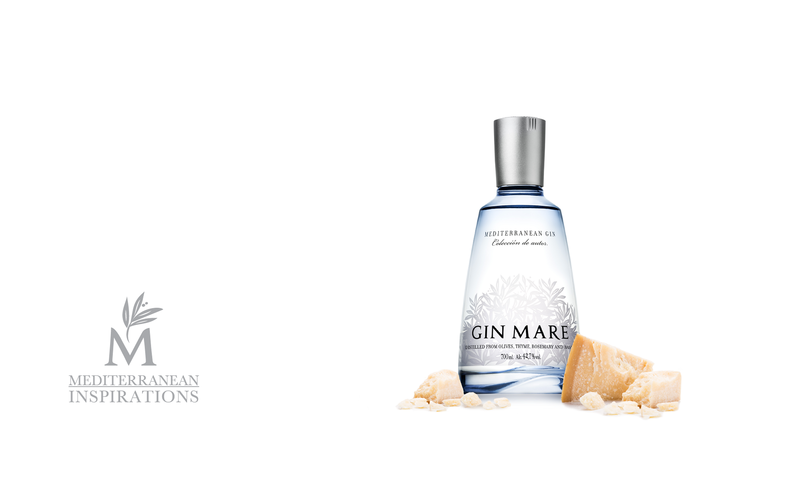 The gin’s unique blend of Mediterranean botanicals provided floral-rose, violet and spicy-clove links to the rose tea, together with separate floral-rose, fruity-pineapple, peach and citrusy-orange links that it shared with the pineapple elements. The pineapple also functioned as a bridging ingredient for the maple syrup with its caramellic, fruity notes. As a finishing touch, Joe steeped silk sachets filled with the key Gin Mare botanicals—rosemary, thyme, basil and Arbequina olives—in her heart-healthy cocktail. Jo Last won this year's prize with “The Heart,” a mixture of Gin Mare, rose and milk thistle tea, and a fruity pineapple cordial and tincture.